Cinque Terre are often considered a destination to visit with a day trip from Florence. Nothing is more wrong! If you spend only one day (or even less) in Cinque Terre you will be able to flag it on your bucket list but you will not be able to appreciate the real and intimate beauty of these places. Yes, I know, when you travel you are eager to see as many places as possible, but a travel should be also an opportunity to relax and see things from a different perspective. That’s why I think you should stay some more days in Cinque Terre. What’s more, Cinque Terre are a very famous “brand” but you can find amazing places beyond the five villages. You can discover the same picturesque beauty with more peace. What I suggest you is to plan a trip that includes at least 2 full days in Cinque Terre (but if you love hiking stay more!) and then, use one of the villages as a base for wonderful day trips. Here are our tips by locals to explore the area at best. Portovenere is a picturesque fishing village, a row of colored houses facing the old harbor and, if it isn’t enough, it is dominated by ancient walls and by the medieval church of S. Peter perched on the cliff. Not to speak about the natural scenery: Portovenere stands at the entrance of the Poet’s Gulf, just in front of the green Palmaria Island, a perfect place for hiking and swimming in the crystalline water. The island is so close that creates a sort of sea channel in front of the village, crossed by sailing and fishing boats. The Poet’s Gulf is a natural paradise: a rugged coast, calm sea and beautiful villages not to be missed such as Lerici and Telaro. The best way to explore it is a private boat trip starting from La Spezia or Portovenere. 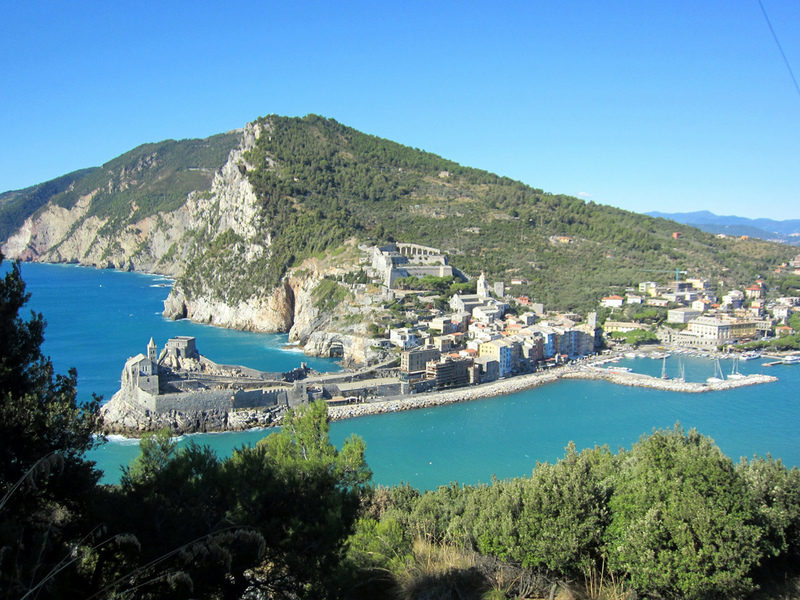 Check-out this previous post if you want to know more about Portovenere. 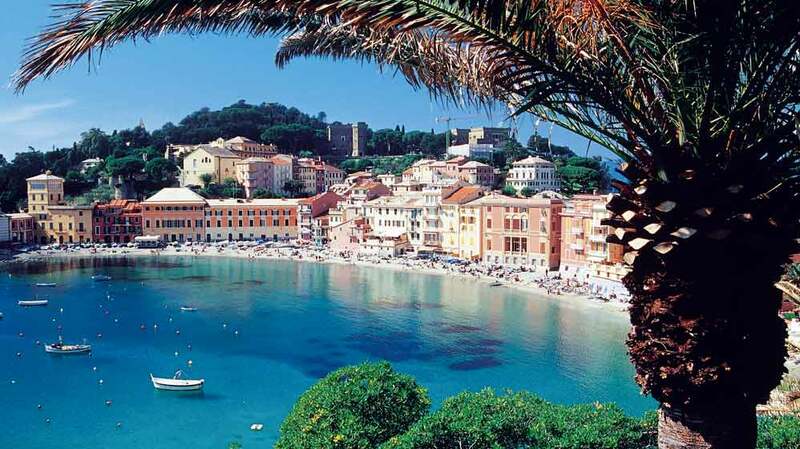 Travelling westwards, in about 30 minutes by train, you can reach the beautiful village of Sestri Levante. Built on an isthmus between two spectacular bays with sandy beaches, ideal for children. Sestri Levante will leave you speechless with its colored houses and noble palaces built on the beach. Discover more about Sestri Levante. 10 more minutes by train and you’ll reach Chiavari, an underestimated ancient coastal town with a beautiful medieval historical center. Chiavari is a lively and authentic city rich in traditional shops where you can taste local street food (don’t miss the Friday market if you can). Another reason to visit Chiavari is that there are still many artisans working in the traditional way: velvet and silks, the typical wooden chairs called “Chiavarine”, the carver offigureheads. No needs of presentation for this famous VIP fishing village where you can really feel the Italian Dolce Vita atmosphere. 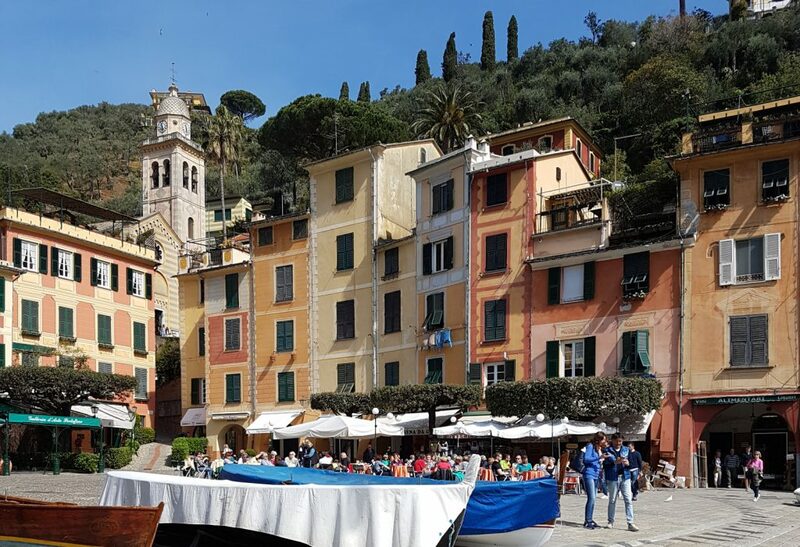 Get off the train in Santa Margherita Ligure (itself a beautiful village, rich in villas and gardens) and take a boat to Portofino (there are both public and private boats from the harbor). This is the best way to arrive and enjoy the charm of the village. 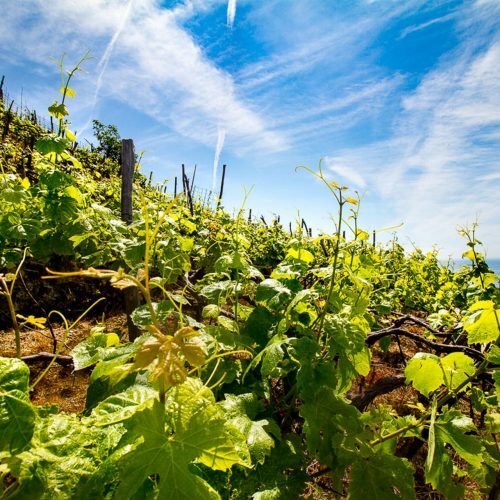 If you want to add a special touch to your day, you can meet a local producer and have an “aperitivo” in his gorgeous terraced garden smelling the aromatic herbs and learning how they use them in the local cuisine. 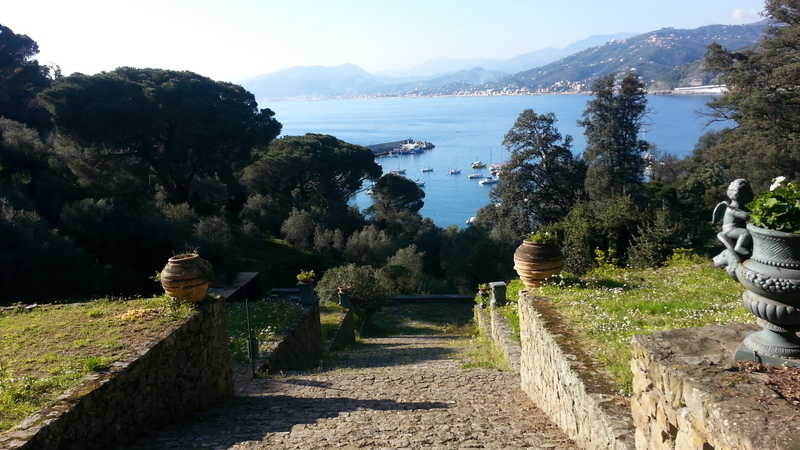 But… what to do in Portofino? 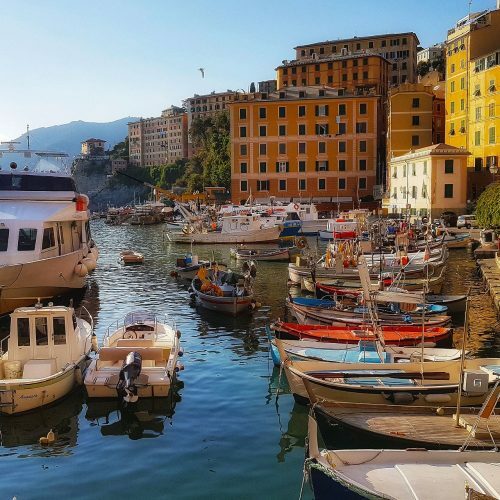 If you still have time, take again the public boat and explore the coast of Portofino National Park till San Fruttuoso, a secluded bay with an outstanding medieval abbey, and Camogli, the quintessence of Ligurian fishing villages. If you feel like immersing yourself in art, culture and authenticity, don’t miss to visit this multilayered town. It has the biggest medieval center in Europe and this is the right moment to visit it because it still preserves its authenticity and is not only a tourist resort. Medieval churches, painted noble palaces, century old shops, a unique mix that will enchant you. And you can reach it in about 1:30 hours from Cinque Terre. If you’ve never been there, I’d recommend you to visit Pisa and Lucca, in Tuscany, just about one hour away from Cinque Terre. I think everybody knows Pisa with its leaning tower and the Piazza dei Miracoli, really a unique place even if it is a touristy one. But there are many other secret corners to discover in this town crossed by the river Arno. 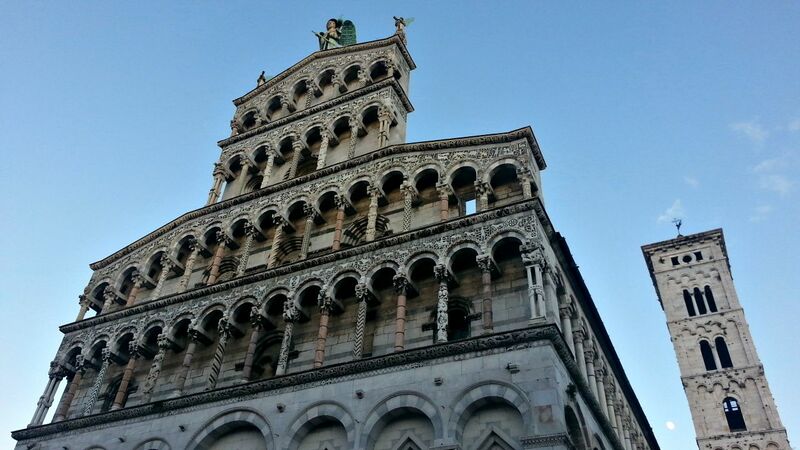 Less known but in my opinion even more beautiful is the town of Lucca. It has an untouched historical center with an incredible quantity of marvelous churches, and it is completely surrounded by ancient walls. A nice idea is to rent a bike and cycle all along the walls. 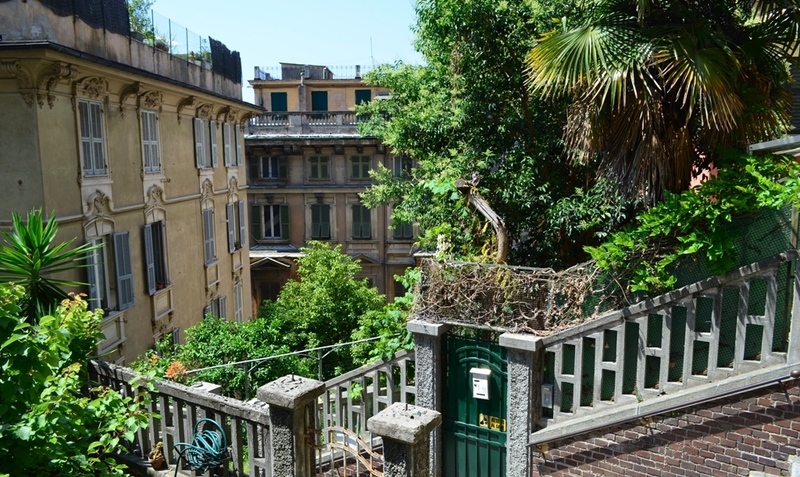 If you have a car, you can also visit the renaissance noble villas close to the town.